SkyExpress offers door-to-door private transfers throughout Hokkaido, the snowiest region in Japan. 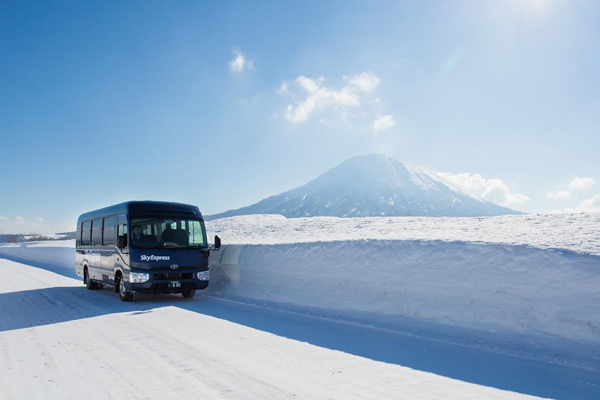 Our fleet of new vehicles, including Alphards, Hiace Minivans and Coaster Microbuses, allow our guests to travel in comfort and style to their final destination in any of Hokkaido's incredible ski resorts. As the most experienced provider of transportation in Hokkaido dedicated to serving international visitors we have an unrivalled safety record and have been bringing people to Niseko in safety and comfort for over 10 years. Ride in style in a spacious, climate-controlled vehicle. No fuss, no hassle and no delays with pickup and drop off at your hotel or chalet. Start and finish your ski holiday in the way you mean to carry on - happy, comfortable and safe!